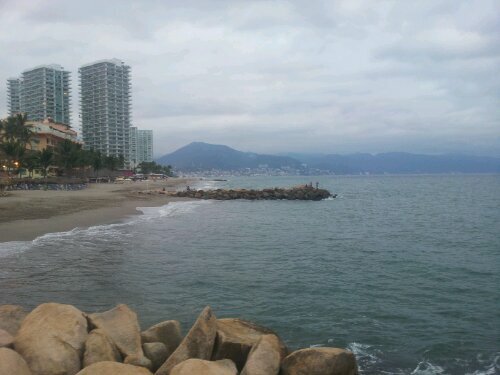 Puerto Vallarta was no exception and I managed to clock up a week in this interesting tourist city. 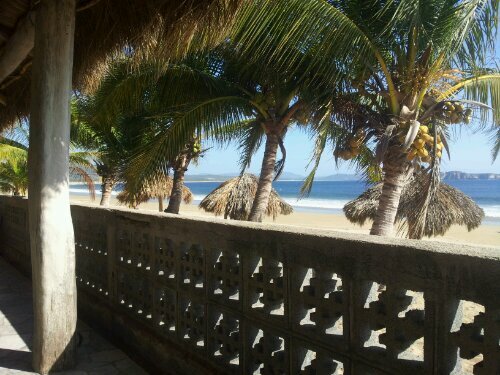 A mix of beautiful beaches and mountain backdrops attracts a significant tourist culture to the main malecón / beachfront. It also manages to maintain a very local Mexican community segregated from the tourist areas, where it would be rare to see a ‘gringo’. This is where Phillipa lives who kindly looked after me during my time in PV. Philippa moved out to PV from England eleven years ago and set up New Life Mexico; a charity that supports “vulnerable children and young people in Mexico through social, health and education programmes”. Philippa helps the people that need it most and has dedicated all her time and energy in poverty stricken areas changing the lives of many. Often with considerable risk to her own personal safety, those without hope have been given opportunities that would have been impossible without her. 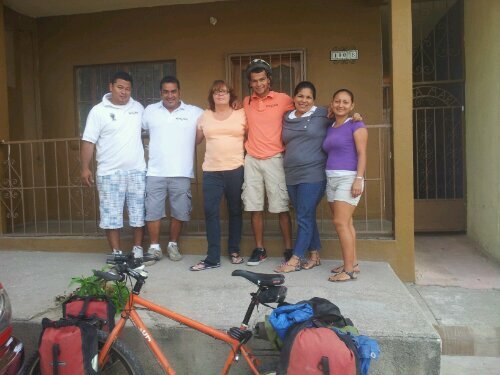 More information on her work for New Life Mexico can be found here. Please donate if this is something that resonates with you; this is a lean charity with minimal overheads and every penny is put to good use. New friends in Puerto Vallarta: I even managed to sneak in a game of football with Ivan and Tony. I made a guest appearance for 10 minutes at the end of a tournament match. I think I touched the ball twice but it was fun to be out paying with the locals. Ivan’s team won 4-1. I felt sadness when it became time to leave; I’d made some great friends and in some ways this of the hardest part of a trip like this. Always moving on, I wish I could somehow take people with me. 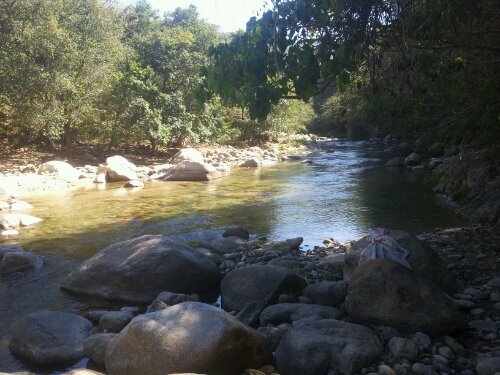 The climb out of Puerto Vallarta resulted in a non-trivial 750 metre change in elevation on a day that was touching 30 degrees Celsius. I managed to time it perfectly with the midday sun resulting in a massive loss of water and electrolytes. 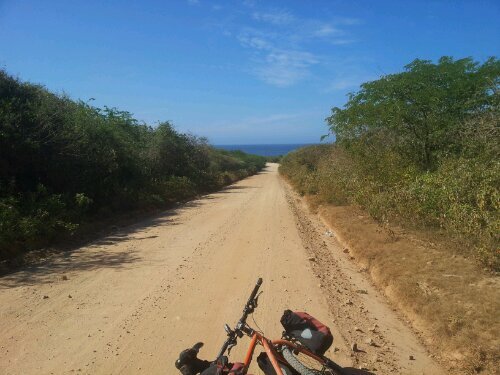 Two powerades and a packet of crisps later, I headed west off the main highway down a quiet dirt track to Playa Maito. 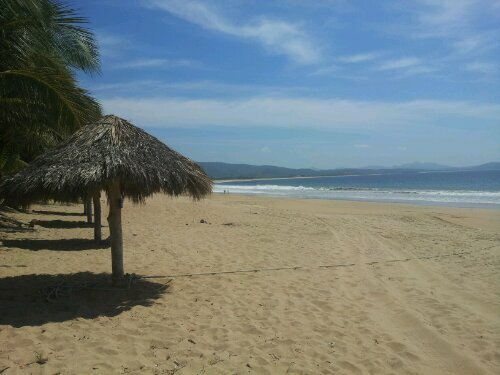 A beautiful surf beach near a small town, it was a great intro back into my trip after my long stay in the comfort of Philippa’s home. 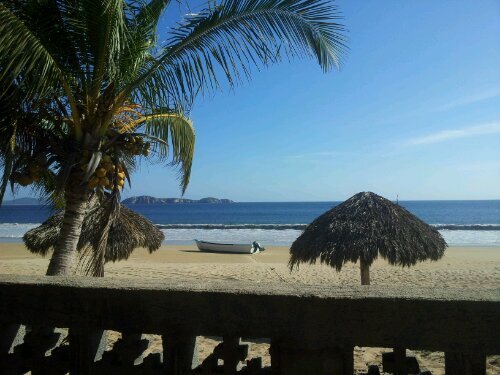 Looking for somewhere to camp, I found the beautiful Hotel Mayto where Rodrigo let me camp by his restaurant. After such a hot day, the swimming pool was very tempting but I was covered in sun cream and sweat so I opted for the shower. Yet another amazing campspot on the ocean, I slept peacefully and had to force myself to leave wishing I could spend more time there. Next time I hope to be in a position to take a room overlooking the Pacific and mesmerising beach with its impressive mountain backdrop. The dirt road continued the next day down to La Cruz de Loreto passing long empty sandy beaches intertwined with dense vegetation and jungle and the occasional small village where people lazed around in the sweltering sun. 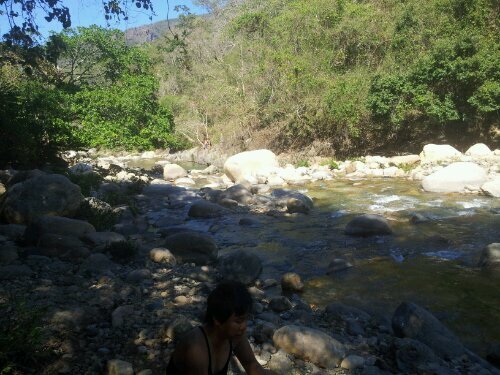 I had planned to go through La Gloria but the locals strongly advised against it. My limited Spanish made it difficult to grasp why but they thought it would be dangerous for me; I think they said the people were dangerous but I wasn’t clear. Five of them stood round talking to me at once speaking very quickly so I could only pick one in five words. Following their advice I headed quickly down the flat road with the wind behind me to the main highway (200) and after a few more sports drinks punched out another 70 kms to Punta Perula (near Chamela) totalling 120 kms for the day. 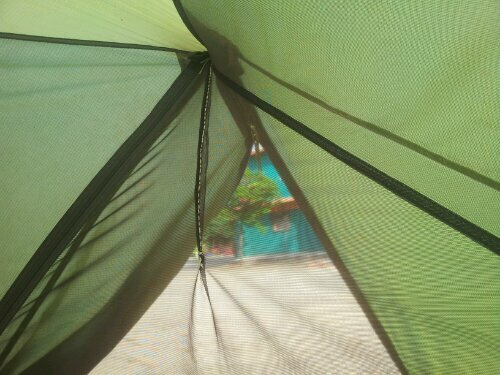 I’m now on my second day at Red Snapper campground lying on the hammock with the refreshing sea breeze. 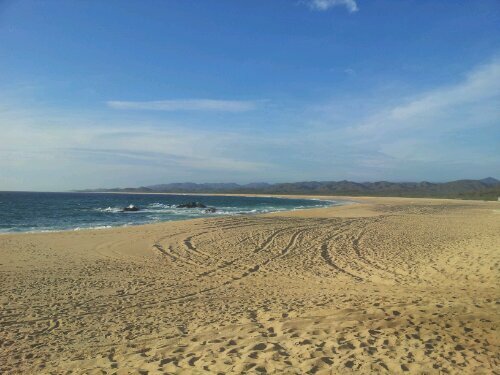 A huge sandy beach and very peaceful, this is another place I’m finding hard to leave. Tent repair: something that I ripped in my sleep! A follow camper kindly helped repair. 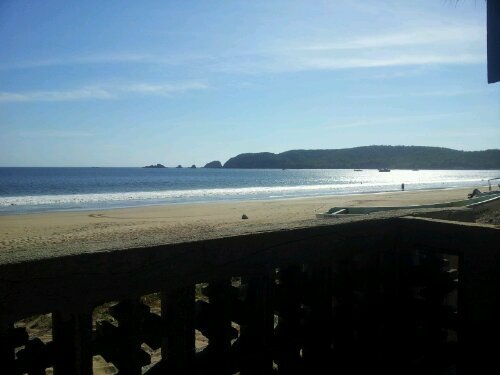 ← Cycling in the scorching heat and beach time! 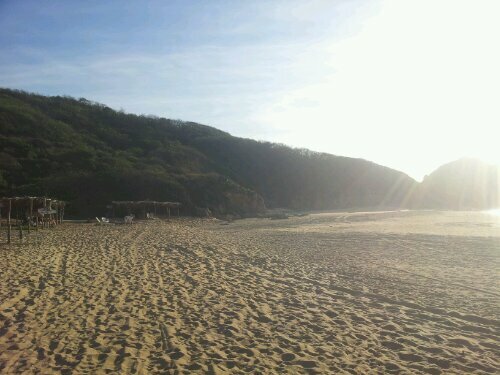 Mazatlan to Sayulita. great blog update nick! so much of what you hage written really resonates now that we are one month into our own bike tour and starting to share similar experiences. thanks for sharing your journey with us. wishing you smooth roads and shady camping ahead. Ola Nicholas, Gracias for the note and blog info. I will be following you on your journey and am anxious to go back and read about the initial part of your trip. Sorry I didn’t spend as much time visiting as I wanted to but am still under the weather with the flu. Glad you enjoyed my little corner of paradise here. Good to have met you and Happy Trails!! Blog more, por favor. Good luck heading south. I hope you plan to write a book on your return.